Modular smartphones are incredibly enticing. Just the idea of being able to swap the internal components and, as a result, keep the handset new and well-performing have many users excited. We now have a new contender in this race, and it needs your help. 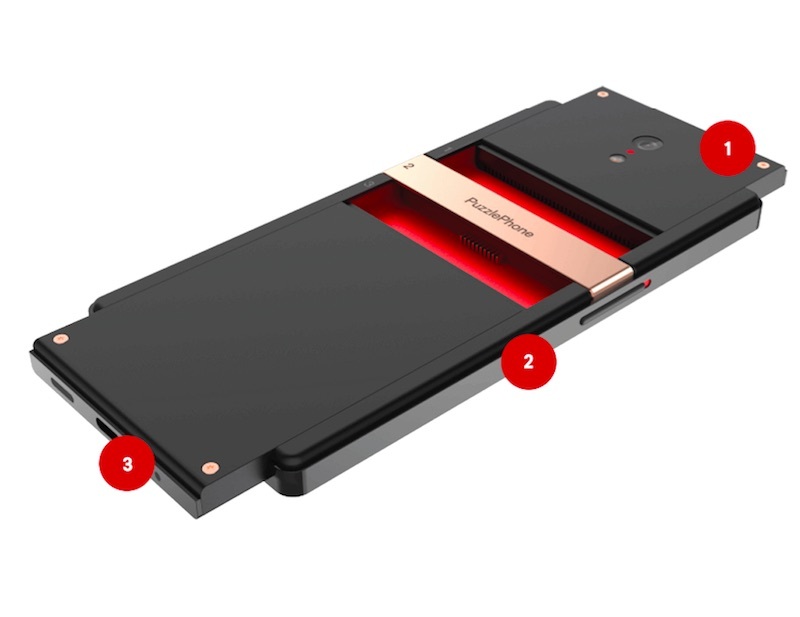 Finnish company Circular Devices says that it will put its modular handset called PuzzlePhone on crowdsourcing platform Indiegogo on November 3, and promises to ship the handset in the second half of 2016, provided it gets the funding. Unlike the Fairphone 2, and Google’s Project Ara, the PuzzlePhone doesn’t offer as much customisation, however. It consists of three modules: brain (consisting of electronics), spine (display panel and frame), and heart (battery). At the time of launch, users will be able to purchase the handset with all the requisite internals, as well as purchase extra components. The company says that it is hopeful that its handset will attract users and it will be able to raise money for the production of the PuzzlePhone. The company has set EUR 599 (roughly Rs. 43,200) as the final retail price of the handset, but early backers will be able to reserve their units for as little as EUR 299 (roughly Rs. 21,600) for the first 250 units, and EUR 449 (roughly Rs. 32,300) as the standard retail price on Indiegogo for the 16GB variant, and EUR 499 (roughly Rs. 36,000) for the 32GB variant. Whatever happened to Project Ara? Google’s Project Ara, which was the first to showcase a modular smartphone, has delayed the commercial launch of the handset a number of times. And this is what’s irking many supporters and enthusiasts. Everyone realises that this kind of product can set a new tone for the mobile industry and change the way we purchase mobile handsets. But we’re yet to see any major company deliver.